The future success of our universities depends on academics' capacity to respond energetically to change. To help academics face new and uncertain demands, we need an entirely different approach to their management and leadership. This book shows academic leaders how to increase resource productivity and enhance teaching quality. It also demonstrates how leaders can help their staff through momentous change without compromising professional standards. 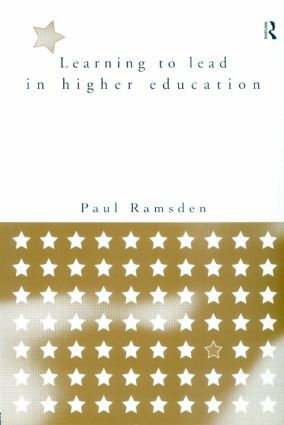 Drawing on ideas from the world of business leadership as well as research into what makes academics committed and productive, Learning to Lead in Higher Education provides heads of departments and course leaders with practical tools they can use to improve their management and leadership skills. It shows academic and university leaders at all levels how they can turn adversity into prosperity.